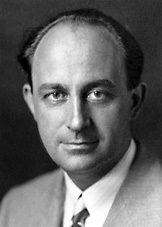 Enrico Fermi was born in Rome, Italy on Sept. 29, 1901. He married Laura Capon in 1928 and from 1927 to 1938 he was Professor of Theoretical Physics at the University of Rome. He took his family with him to Stockholm, Sweden in 1938 to accept the Nobel Prize for Physics. But they never returned to Italy and instead used the trip to escape from Benito Mussolini's fascist government. They emigrated to the U.S. where Enrico eventually joined other scientists in Chicago who were working on the Manhattan Project (code name for production of America's atomic bomb). The atomic age was officially born in Chicago on Wednesday afternoon, Dec. 2, 1942. Enrico Fermi supervised the first controlled nuclear chain reaction for forty minutes inside the cinder block walls of a squash court. The building was under the cement football stands at Amos Alonzo Stagg Field at 5801 S. Ellis Avenue on the campus of the University of Chicago. Fermi and his wife lived in Chicago from 1942 on. They became American citizens in 1944. Enrico then taught as a member of the faculty at the University of Chicago for the last ten years of his life until his premature death from cancer on Nov. 18, 1954 at age 53. He is buried at the historic Oak Woods Cemetery on the corner of 67th and Cottage Grove. The Enrico Fermi Institute at the University of Chicago and the FermiLab in Batavia, Illinois, are both named in his honor. 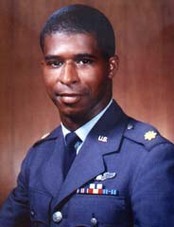 U.S. Air Force Maj. Robert H. Lawrence was the first African American pilot selected by NASA in 1967 to be trained as an astronaut for the manned orbital laboratory program. He was born in Chicago on Oct. 2, 1935. Robert was only 16 years old when he graduated from Englewood High School at 6201 S. Stewart in Chicago in 1952. He was an outstanding student and he was only 20 when he graduated in 1956 from Bradley University in Peoria with a bachelor's degree in chemical engineering. While a student at Bradley, Robert was a cadet commander in the Air Force ROTC program on campus and upon graduation he received his commission as a second lieutenant. He was trained as a pilot at Malden Air Force Base in Missouri in 1956-1957. 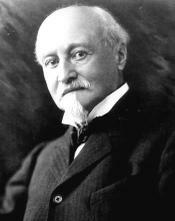 Octave Chanute was one of America's pioneering civil engineers who designed the Union Stock Yards in Chicago in 1865 and was chief civil engineer for the Chicago and Alton Railroad. He also designed the Illinois River Rail Bridge at Peoria and he was a past president of the American Society of Civil Engineers. Chanute lived in Chicago the last 21 years of his life from 1889 to 1910, where he devoted his time to research in aeronautic principles and to building gliders and flying machines. He became an adviser to Orville and Wilbur Wright on their efforts to build a powered aeroplane starting in 1899. The former Chanute Air Force Base near Rantoul, Illinois was named in his honor as is the current Octave Chanute Aerospace Museum at Rantoul. Chanute was born in Paris, France on Feb. 18, 1832. His family moved to a Louisiana in 1838 where his father Joseph was Vice President and Professor of History at Jefferson College. The family moved again to New York in 1846 and in 1848 the sixteen-year old Octave took a job as a chainman on the Hudson River Railroad. He started training as a railroad civil engineer in 1849 and became an American citizen in 1854. 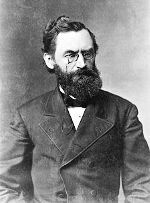 He married Annie Riddel James in 1857 and was named Chief Civil Engineer of the Chicago and Alton Railroad in 1863. He won the design competition for the Chicago Union Stock Yards in 1865 and also designed the Kansas City Stock Yards in 1871. As a young girl growing up in Chicago, Mae Jemison loved to watch the original Star Trek TV series (1966-1969). Mae says that her role model was actress Nichelle Nichols who grew up in Robbins, Illinois in south Cook County. Nichelle played the role of the communications officer on the Star Ship Enterprise, Lt. Uhura. Nichelle started her career as a singer for the Duke Ellington Orchestra before she auditioned for Star Trek. Robbins was also the hometown of Janet Harmon Bragg, an aviation columnist for The Chicago Defender, who was the first African-American woman to earn a commercial pilot's license in 1943 to fly passengers and cargo. And Janet's role model was aviation pioneer Bessie Coleman of Chicago who was the first African-American woman to earn an international pilot's license for a single-engine plane in 1921. "Last week I turned 82. 82! When I look in the mirror, the person staring back at me is a young boy, with a head and heart filled with dreams and excitement and unquenchable enthusiam for life. Sure, he's got white hair--so what!" Green Town, Illinois is a mythical place in a Ray Bradbury novel only in the same way that Shermer, Illinois is a fictional suburb in a John Hughes movie. Green Town, Illinois can be visited today. It is called Waukegan. Shermer can also be found. In real life it's called Northbrook. Ray Bradbury was born in Green Town, make that Waukegan, on August 22, 1920. From Waukegan to Mars and other worlds is a very long trip covering 86 years so far, but Ray is still excited about the journey. But back on Earth in Illinois, the Green Town of legend and folklore is most vividly recalled in the magical childhood summers of 1928 and 1929--the last summers of the properous Roaring Twenties. That is before the stock market crash of October 1929 and before America turned into a cold, jobless, and hungry place for too many families. Green Town is the idyllic small American town that is the backdrop for Ray Bradbury's autobiographical novel called Dandelion Wine. Dandelion Wine contained only a small plot device from the world of science fiction but it was one of three books planned for The Green Town Trilogy of stories to be set in Waukegan. Two have been published in full and one chapter of the third has been published. 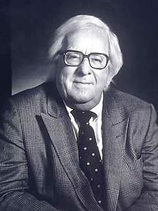 Ray Bradbury is one of the most interesting science fiction authors of the last century. No one in Waukegan knew then that the fertile imagination of a young boy would one day bring readers adventures such as The Martian Chronicles (1950), Farenheit 451 (1953), Dandelion Wine (1957), Something Wicked This Way Comes (1962), The Halloween Tree (1972), and I Sing the Body Electric. For a list of Ray Bradbury books, see his official web site. Ray only lived in Waukegan off and on for his first fourteen years with temporary moves to Arizona thrown into the mix of his childhood. The family moved to Los Angeles during the Depression and Ray went to high school there. But a fan cannot read an interview with Ray or Dandelion Wine and not understand that Ray will always regard Waukegan, Illinois as his hometown and that his Waukegan years as a youth were the best years of his life. In 2003, Ray lost his wonderful wife of 56 years, Maggie McClure Bradbury, whose family founded McClure's Magazine. She was working in a book store in L.A. in 1946 when she met Ray. In 2004, Ray Bradbury engaged in a dust up of legal letters back and forth with independent film producer Michael Moore who borrowed part of the title from one of Ray's most famous books and movies for the title of Moore's film critical of President Bush called "Farenheit 9-11." Bradbury did not say if his political views were offended by Moore, only that he thought Moore was being deceptive to use a title so similar that it could be confused with a famous film Farenheit 451 from 1966 starring Oskar Werner and Julie Christie and directed by Francois Truffaut. That movie was based on Ray's 1953 book with the same title. Moore said he was trying to pay a tribute to Bradbury. Bradbury did not take it as a compliment. Ray had a legitimate stake in protecting the name of his book and film from confusion with Moore's film since the original Farenheit 451 is being re-made for release in 2007. Last month in August 2006, Ray Bradbury celebrated his 86th birthday. His incurable optimism for space travel is still with him and he predicted humans will return to the moon and to Mars and to "other worlds." "Our future is wonderful," he told Patt Morrison in an interview on KPCC, a Pasadena, California-based public radio station on Aug. 22, 2006. For a list of movie and TV projects written by Ray Bradbury or based on his books, see the Ray Bradbury page on the Internet Movie Database. Of 6.6 billion people now on Earth, there are only nine people still living who walked on another celestial body between 1969 and 1972. They are all over age 70 and they are all American men. The last man to walk there was a native of Illinois. Retired U.S. Navy Captain Eugene A. Cernan was Commander of Apollo 17 and was "the last man to walk on the moon" in December 1972. But Gene does not like that title and would like to get rid of it. In 2000, he wrote in his auto-biography, "Somewhere on Earth today is the young girl or boy, the possessor of indomitable will and courage, who will lift that dubious honor from me and take us back where we belong." 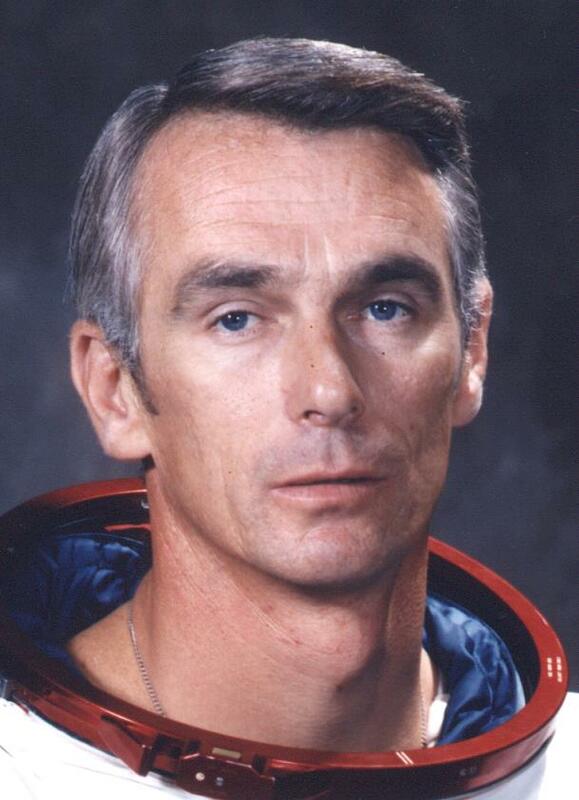 Gene Cernan was born March 14, 1934 in Chicago. His mother was of Czech heritage and his father was a Slovak. He lived his first few years in Broadview and grew up in Bellwood, Illinois in western Cook County. He attended Bellwood public schools and graduated from Proviso Township High School (now called Proviso East campus) in Maywood in 1952. He received a Bachelor of Science degree in electrical engineering from Perdue Univesity in 1956. While at Perdue, he trained with the Navy ROTC and received a commission in the U.S. Navy upon graduation in 1956. Gene Cernan became a Navy aviator and test pilot. He holds a Masters Degree in aeronautical engineering from the Naval Post Graduate School. Gene continued his education even after he left NASA and went into private business in 1976. He took classes at Northwestern University and The Wharton School of Finance at the University of Pennsylvania. NASA selected Gene to be in its astronaut class of 1963 to be trained for both the Gemini and Apollo manned-space programs. In June 1966 Gene became the second American to walk in space as part of his duties as pilot on board Gemini 9 with command pilot Tom Stafford. Gene spent a total of two hours and ten minutes outside the spacecraft. In May 1969 Gene joined Tom Stafford again and John W. Young on board the Apollo 10. Gene is only one of twelve Americans to walk on the moon and one of only three to visit the vicinity of the moon twice. His was the Lunar Module commander of Apollo 10, a dress rehearsal for the moon landing. But that spacecraft could not land since it had no landing gear. The Apollo 17 take off in December 1972 on board a Saturn V rocket. It was the only night launch of a Saturn rocket in the history of NASA. The rocket lit up the sky of south Florida almost as if a small sun had risen just after midnight. For about two minutes, almost one million people on the beaches north and south Cape Canaveral could be seen as if it were daytime. Gene Cernan came back to Bellwood, Illinois for many visits in the middle 1970s including a dinner in his honor in 1973 and for various July 4th and Labor Day parades. He was often welcomed by long-time Bellwood Mayor Sig Davis and the late Cook County Commissioner Hal Tyrell of La Grange Park. In 1976, Captain Cernan retired from the Navy and from NASA to enter private business. In 2000, Cernan wrote The Last Man on the Moon which is available on Amazon and other online book sites. Gene Cernan has served as technical consultant with the ABC Television Network for coverage of various space missions. He won the Navy Distinguished Flying Cross, the Distinguished Service Medal with Star, and the NASA Distinguished Service Medal. The Cernan Earth and Space Center at Triton College in River Grove, Illinois was named in honor of Gene Cernan in 1984. Gene Cernan and his family live in Houston. In January 2001, Gene brought his daughter with him from Houston to attend the Illinois State Society Inaugural Gala at the Grand Hyatt in Washington, DC. He was introduced by Congressman Ray LaHood (R-Peoria) who gave Gene the "Outstanding Illinoisan Award" on behalf of the society. 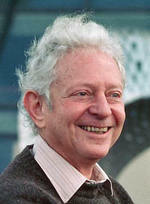 Leon Lederman, Ph.D., moved to Batavia, Illinois 27 years ago in 1979 to become Director of the Fermi National Accelerator Laboratory. In 1988 he shared the Nobel Prize for Physics with Melvin Schwartz and Jack Steinberger for his research into the structure and behavior of the smallest of sub-atomic particles. On January 19, 2005, he was given the Outstanding Illinoisan Award by the Illinois State Society of Washington, DC at the Inaugural Gala. Lederman was born in New York in 1922 and attended City College of New York. He completed his doctoral studies at Columbia University and served as a second lieutenant with the U.S. Army Signal Corps during World War II. He had already made his mark in a challenging career as Director for the NEVIS Lab of the Office of Naval Research at Columbia from 1961 to 1978. In Illinois, he took over directing the research of one of America's most prestigious national laboratories. The Fermi National Accelerator Laboratory or Fermilab in Batavia is named for Enrico Fermi, who defected from fascist Italy after he took his family in 1938 to Stockholm, Sweden to accept the Nobel Prize for Physics. Only four years later, Fermi was working for the Manhattan Project inside a cement squash court building under the football stands at Stagg Field at the University of Chicago. The atomic age was born in Illinois on December 2, 1942 when Enrico Fermi threw a switch to start the first controlled nuclear chain reaction and then shut it down later. After he retired from FermiLab in 1989, Dr. Leon Lederman went to the University of Chicago to teach and then a year or so later to the Illinois Institute of Technology where he still teaches. Dr. Lederman was the principal driving force behind the founding of the Illinois Mathematics and Science Academy (IMSA) in Aurora, Illinois. IMSA is a three-year residential magnet school for gifted students in math and science from all parts of Illinois. Dr. Lederman convinced Gov. Jim Thompson to get behind the creation of the school in 1982. The school was formally created by the Illinois General Assembly in 1985 and opened in 1986 on land that had been part of the north campus of West Aurora High School. The first IMSA class graduated in 1989. Dr. Lederman was the first commencement speaker and remained on the Board of Trustees for several years. He is the author of several hundred books and publications. In January 2005, Dr. Lederman was named an "Outstanding Illinoisan" by the Illinois State Society of Washington, DC. To learn more about FermiLab in Batavia, click here. To learn more about the Illinois Mathematics and Science Academy (IMSA) in Aurora click here. To learn more about the Illinois Institute of Technology in Chicago click here.